Movie composer Thomas Newman takes over from David Arnold and follows in the Bond composer footsteps of the great John Barry with his new score for Skyfall, starring Daniel Craig. 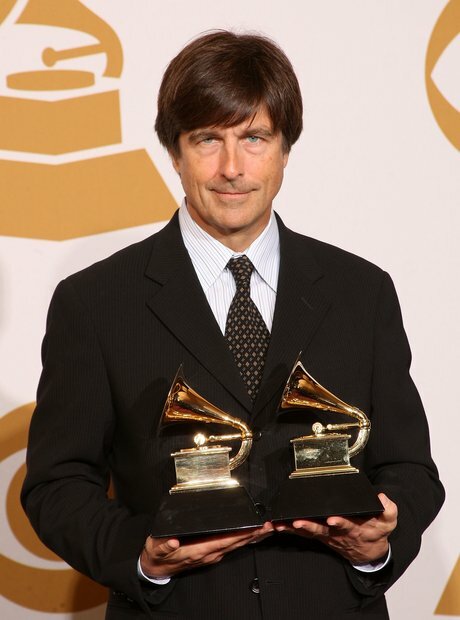 Thomas Newman is the new Bond composer! Following on from the work David Arnold did on the previous five Bond films, Newman takes Bond into the new decade with a decidedly modern score that tips its hat to the classic Bond sound. 2. Daniel Craig returns as Bond! It's not just Thomas Newman on the Skyfall soundtrack - pop superstar Adele has recorded the film's iconic title song, and she posted this picture on Twitter as it was released. Daniel Craig, new Bond villain Javier Bardem and Bérénice Marlohe line up for Skyfall. Daniel Craig in the Skyfall poster. David Arnold and Thomas Newman spoke to Classic FM in an exclusive interview with film music expert Tommy Pearson - to be broadcast on Friday 19th October. David Arnold and Thomas Newman with interviewer and film music expert Tommy Pearson, after they were interviewed for a Classic FM Bond music special.